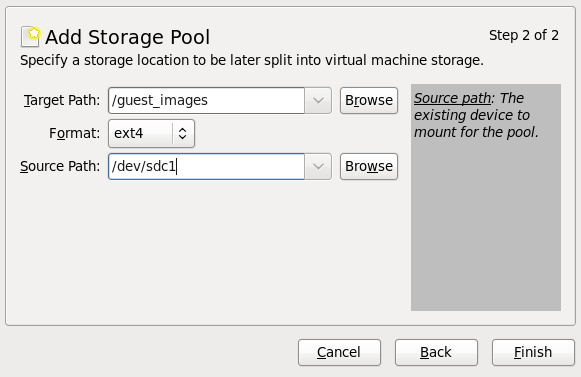 This section includes information on creating different storage pools using the virt manager. In most cases the command line can also be used to perform the same action. To create a storage pool using the CLI, refer to Chapter 11, Storage pools . 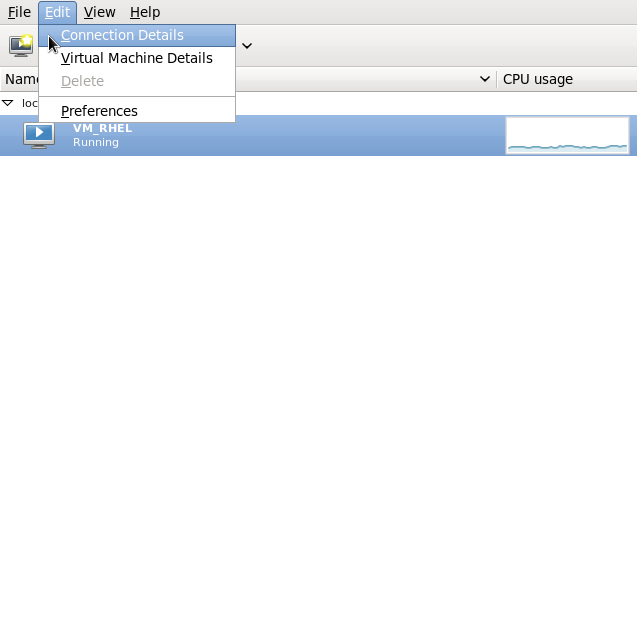 This procedure creates a new storage pool using a partition of a storage device using virt-manager. This same action can also be done using the command line window. 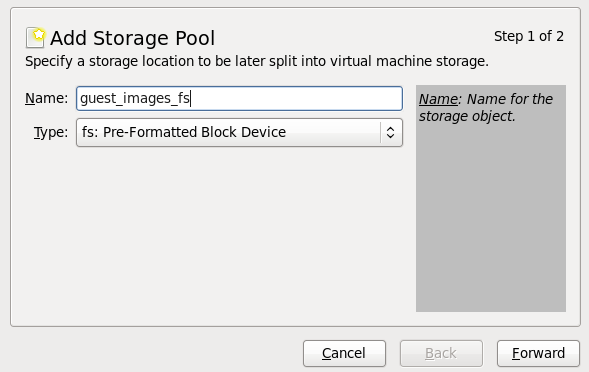 For directions on creating a dedicated disk storage pool with the CLI, refer to Section 11.1.2.1, “Creating a partition-based storage pool using virsh”. 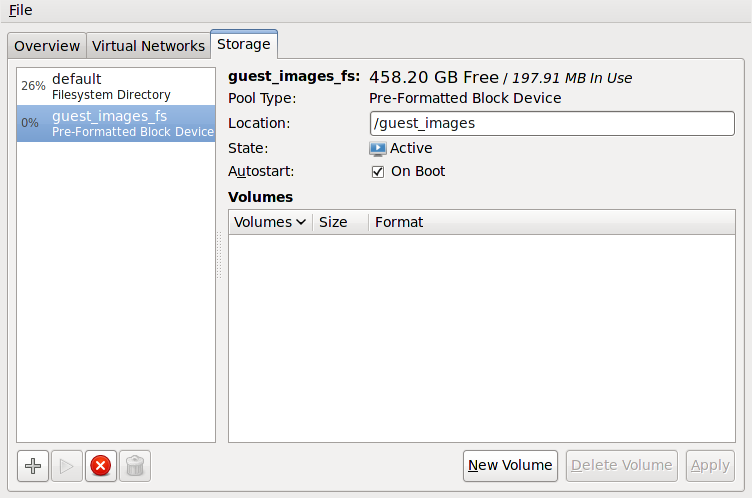 This example uses the ext4 file system, the default Fedora X (was RHEL) file system. Select the storage pool. In the Autostart field, click the On Boot checkbox. This will make sure the storage device starts whenever the libvirtd service starts.